Find the heart of decay amidst a legion of the undead. This entry was posted in Videos on August 30, 2017 by Charles Perez. This entry was posted in MMO MMORPG Games List on August 30, 2017 by Charles Perez. This entry was posted in Developers on August 30, 2017 by Charles Perez. Aachen was one of the largest, if not the largest urban battle fought in World War II by US Troops. Take this fly-through of the area for Call of Duty: WWII! This entry was posted in Videos on August 30, 2017 by Jason Parker. Coming in the 1.8 update of Tom Clancy’s The Division, the West Side Pier is being added to the game, in addition to lots of PVE and PVP content for everyone. From the team that brought “I Am Setsuna” comes the world of Lost Sphear. Kanata and his friends try to restore the Lost with the power of Memory! The Skaven cannot ever truly be stopped. Warhammer: Vermintide 2 is the sequel to the critically acclaimed Vermintide, where four players fight through endless enemies for victory..or defeat. “Slay the Dancefloor” is the free major update coming from Kasedo Games rhythm RPG, The Metronomicon. For the first time in-game, decide who the Dance Master is, and battle with your friends through local multiplayer across each and every mode, overcoming new and redesigned challenges. Slay the Dancefloor also introduces Endless Mode, a roguelike mode where you dance til you drop, literally. No saves, no retries. You, your moves, and the music are all that remains. Oh yeah, and a ton of enemies who want you dead. Full local multiplayer, across all play modes. A new unlockable, playable character, with totally new ability types. New unlockable passive abilities, usable in all modes. A brand new rogue-like game mode, Endless Mode. New languages, balance, tweaks & secrets. This entry was posted in Articles, MMO MMORPG News on August 30, 2017 by Jason Parker. 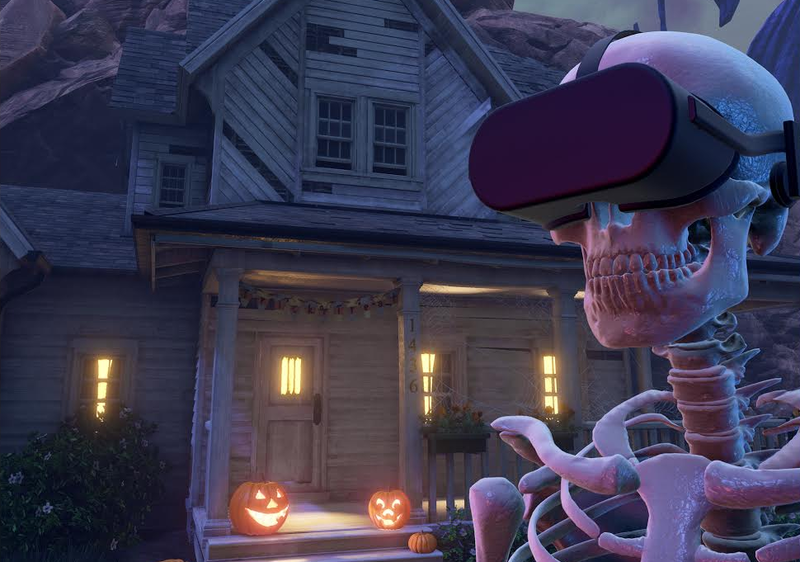 Obduction is now officially on the Playstation 4 with a special bundle that features both the PS4 and PS VR versions (29.99) and also has exclusive content not seen anywhere else. A new area joins this mystery, a Russian submarine inside of a large cavern. The new content also offers insight into the backstory of characters/places, and two new music tracks by Hannah Gamiel (Cyan software/audio engineer). What’s more, the PS VR version was made in a partnership with Legendary VR, a division of Legendary Pictures (The Dark Knight, Godzilla, Kong: Skull Island). The PSVR version is coming soon, but the Playstation 4 version will unlock immediately upon purchase. When the VR version is live, owners will acquire that as well. “Legendary has always been driven by a passion to empower great storytellers to tell great stories, no matter the medium. Having successfully developed innovative story worlds across film, television, comics, live experience and virtual reality, Legendary is thrilled to have an opportunity to continue pushing back the narrative boundaries of storytelling by bringing our brand of elevated, fully immersive VR to the gaming space alongside a groundbreaking studio like Cyan, who has truly revolutionized the computer gaming experience for its fans,” said Ethan Stearns, VP, Legendary VR. It will be playable at Pax West if you’re there, as well as Gamestops, Best Buys, and Walmarts worldwide. Legendary Pictures already owns the option for a Myst TV series, and now they are working with Cyan again for the Obduction PS VR version. It could be big news for Rand Miller! It should be interesting to get deeper into the back story of the mysterious world of Obduction.